In order to see human beings as they are, therefore, and to school oneself in the art of loving them, it is necessary to apply a dose of pessimism to all one’s plans and aspirations. I don’t go along with Schopenhauer’s comprehensive gloom, or with the philosophy of renunciation that he derived from it. I have no doubt that St Paul was right to recommend faith, hope and love (agape) as the virtues which order life to the greater good. But I have no doubt too that hope, detached from faith and untempered by the evidence of history, is a dangerous asset, and one that threatens not only those who embrace it, but all those within range of their illusions. Pessimism is needed, not in order to neutralize the belief in human uniqueness, but in order to protect it. We rational beings depend for our fulfillment upon love and friendship. Our happiness is of a piece with our freedom, and cannot be separated from the constraints that make freedom possible – real, concrete freedom, as opposed to the abstract freedom of the utopians. Everything deep in us depends upon our mortal condition, and while we can solve our problems and live in peace with our neighbors we can do so only through compromise and sacrifice. We are not, and cannot be, the kind of posthuman cyborgs that rejoice in eternal life, if life it is. We are led by love, friendship and desire; by tenderness for young life and reverence for old. We live, or ought to live, by the rule of forgiveness, in a world where hurts are acknowledged and faults confessed to. 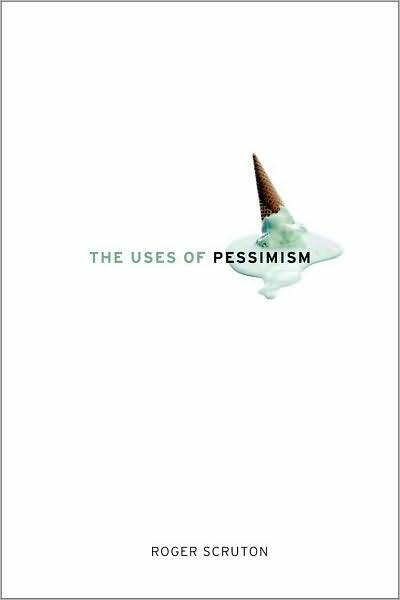 All our reasoning is predicated upon those basic conditions, and one of the most important uses of pessimism is to warn us against destroying them. The soul-less optimism of the transhumanists reminds us that we should be gloomy, since our happiness depends on it. Loved this piece. And the photo of Eeyore was especially nice. I love him almost as much as I love Pooh. "But, Eeyore," said Pooh in distress, "what can we – I mean, how shall we – do you think if we -"
I remember a fellow who once told me that the reason he gets outraged so often is because he is basically optimistic about things so when things don't go as he hopes he gets outraged. I am often profoundly pessimistic so when things go well I can be (very) pleasantly surprised. I believe that the "born free" fallacy is the most dangerous fallacy afoot in our society. For those born with disabilities or who gain disabilities due to failures in medical practice we are hardly "born free" but are born with the handicaps that either genetics or medical failures foist upon us. As an uncle I see this idea in children's entertainment constantly and saw it in my childhood. Teaching children "you can be anything that you want to be and do anything that you want to do" can set up entire generations for disappointment. Adapting to irreversible, immutable limitations doesn't make us less human so much as allows us to embrace the true limits and strengths of our humanity. I don't see how this can be done without faith, but I also don't wish to ramble too long. For me the sentence concerning 'the precarious position of those for whom at any time the veil of illusion can be ripped away' is an alarming one. So many of those who have resisted with vehemence the message of this precariousness, at least during my ministry, have been folk who have been in the midst of life, living with passionate seriousness the lives they were pressing and straining forward, family-wise, career-wise, just plain energy-wise. It is interesting how vestries are often peopled with 'passionately engaged in life' persons in their mid-30s to late-40s, who just put up every defense they can lay their hands on if the rector appears to be deconstructing the importance of action and hands-on life. The 'iustitia passiva; has rarely gone down well, at least in my experience, with folk who are charging ahead. In fact, they often stop their ears. Yet it is exactly people who are vehemently engaged in what appears to be life — but is actually death in my account — who are, if Scruton is right, most vulnerable to losing it all when, say, cancer strikes without regard to merit; when a major negative involvement comes from out of left field; when a friend turns out to be a calculating enemy — anyone could fill in the blanks. But if you comment on this precariousness of the 'engaged', the vulnerability of the crowd who are not interested in the 'what went wrong' but are interested, solely or rather, in the 'what shall we DO about it', they can look at you like you're some kind of traitor to the cause of will and life. I have run into this often, again and again, and then again. The young, as it were, are sometimes surprisingly open to the deconstruction that Scruton is prosecuting here. (Listen to the early Chrissie Hynde, for example.) The old, as it were, are sometimes so buffeted and wearied by outrageous fortune (Bette Midler), that they understand it immediately when you try to explain their exhaustion from the perspective of the Bible. But it's those people in between! 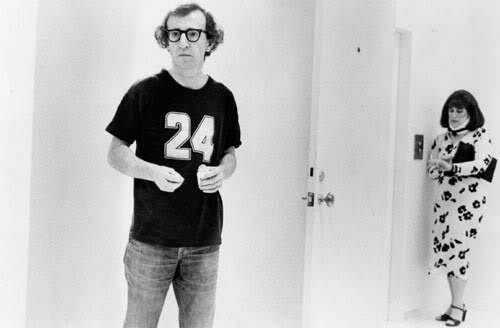 They are the precarious ones, the vulnerable ones (to disappointment and misanthropy) — but they become sort of drugged, by, well, energy and the sedative of action. "He also told with great feeling an apocryphal story concerning the composition of Leonardo's Last Supper, which, in this version of events, the artist composed over many decades, constantly searching the streets and alley-ways of Milan for the ideal types upon whom to model the twelve apostles, and having begun with the beautiful and innocent face of a young man whose expression seemed to capture all the grace, dignity and tender compassion of Jesus. After years of labour the apostles had all been assembled, representing in their carefully differentiated expressions the fine gradations of hope, resolution, weak ness and despair. Only one remained and that was Judas, whose baseness no citizen of Milan seemed to wear on his face, and to whom Leonardo began to despair of giving the absolute lifelikeness that was vital to his conception. At last, in a mean alleyway, a dark figure, engaged in some whispered transaction, caught the painter's eye. Recognizing in those fear-filled, treacherous glances the lineaments of Judas, Leonardo enticed him to the cenaculo with a gift of silver. Judas turns to the nearly completed fresco that is taking shape above them. 'There I am,' he says, and points to Christ. StampDawg, thanks for the great Milne excerpt, too! So apropos. My mom once spent months laboring in secret to make four stuffed Winnie the Pooh characters for her four daughters for Christmas. At age eight, I was the oldest of the girls. I got Eeyore, because he was my favorite. I remember he had a button-on tale. One of the most fabulous gifts I ever received! I wonder where he is now? Paul, I wish it weren't true! But alas, even in my short time in ministry, it has been interesting to observe who the message seems to have a deep effect on. So far, it hasn't been the "mainstays" of the congregation, as much as those on the periphery- the ones who are categorized as "unreliable." The character, Puddleglum in The Chronicles of Narnia is likely a graduate of the School of Eeyore. If anyone can find and post Puddleglum's speech explaining why "he was going to live and die a Narnian"– that would make my day. Great posts– thanks. "'One word, Ma'am,' he said… 'One word. All you've been saying is quite right, I shouldn't wonder. I'm a chap who always liked to know the worst and then put the best face I can on it. So I won't deny any of what you said. But there's one thing more to be said, even so. Suppose we have only dreamed, or made up, all those things–trees and grass and sun and moon and stars and Aslan himself. Supose we have. Then all I can say is that, in that case, the made-up things seem a good deal more important than the real ones. Suppose this black pit of a kingdom of yours is the only world. Well, it strikes me as a pretty poor one. And that's a funny thing, when you come to think of it. We're just babies making up a game, if you're right. But four babies playing a game can make a play-world which licks your real world hollow. That's why I'm going to stand by the play-world. I'm on Aslan's side even if there isn't any Aslan to lead it. I'm going to live as like a Narnian as I can even if there isn't any Narnia. So, thanking you kindly for our supper, if these two gentlemen and the young lady are ready, we're leaving your court at once and setting out in the dark to spend our lives looking for Overland. Not that our lives will be very long, I should think; but that's small loss if the world's as dull a place as you say." Yes, that is it. Thank you for finding and posting it. You've made my day. "Aim at heaven, and you get earth thrown in. Aim at earth and you get neither" — CS Lewis. I love this post and I also love the discussion/comments. Scruton's almost brief and aside comment, "We are led by love, friendship and desire; by tenderness for young life and reverence for old" really struck me. This on the surface or initially doesn't seem that surprising; but in a culture that is defined by its activity/productivity: its unrelenting energy for moral advancement/progress and ceaseless optimism (which all seems to stem from some glorification of being 20 something)the very young and the very old don't fit. In fact, when I reread this post, I noticed that this brief quote stood out all the more. In some recent studies on Jungel and Ontology defined by justification by faith, Jungel discusses the "natural" consequences of redefining ontology through the lens of Justification:freedom from the condemnation of works. In light of this consequence, those who are the less productive/active, the weak/infirm (the very young and the very old and even the very sick) are no longer evaluated on a productivity/activity scale, and, rather are valued as human beings. Thus, as Scruton has said, "We are led by love, friendship and desire; by tenderness for young life and reverence for old."